Announcing TIP Highpoint Awards & Classes at our show!! Would you like to advertise in our prize list and online? Are you interested in sponsoring a class or division? Would you like to donate to our silent auction? Would you like to have a vendor booth at our show? Would you like to provide a special jump for our show? 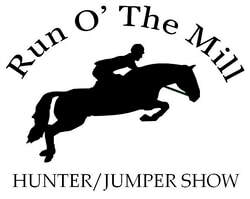 ​Please contact Shelley at runothemillponyclub@gmail.com or click on the links above. Thank you to our 2019 Sponsors, Vendors & Donors - the list is growing!